I fear there still isn't much to be found regarding rogues. However, according to Mania there is a rumor going around which speculates that bite might be changed to become much the same as claw. A result of this would mean that any previous attempts to determine hunter pet DPS will have to be looked at again. Wolves might actually become viable pets again. Hopefully you managed to get a ghost wolf while you were able to do so. Owls and bats would probably become more mainstream as raid debuffs as well. There's also a list on the EJ forums displaying some new pet skills. Keep in mind that some of these might actually be NPC or player abilities instead. Please note that the "pet type" below is the speculated type most likely to be able to train the listed skill. Description: Smack the enemy, causing 54 damage. Description: Pins the target in place, and squeezes for $o2 damage over $d. Pet type : Crab? Scorpid? Snake? Description: Swipe $x1 nearby enemies, inflicting 10 damage. Description: Increases the caster's movement speed by 60% for $d. and causes it to inflict an additional 250 damage on its first three attacks. Description2: Movement speed increased by $s1%. Inflicts an additional $s2 damage on first three attacks. Pet type : Bear, Boar or ravager perhaps? Description: Damages an enemy for 3 and reduces movement speed by -25% for $d. Description2: Movement speed reduced by $s1%. Pet type : Crocolisks most likely. Description: Inflicts 2 Nature damage to nearby enemies every $t1 sec for $d and reduces armor by -15%. Description2: Nature damage inflicted every $t1 sec. Armor reduced by $s2%. Pet type : Spore Bats? Nether Rays? Obviously the -armor is kinda high, perhaps it doesn't stack with sunder or expose? Description: Kick up an obscuring cloud of dust, lowering the chance for enemies to hit by 30%. Effects last $d. Description2: Dust cloud, chace to hit reduced by 30%. 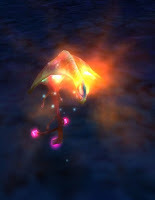 Pet type : Spore Bats, Nether Rays? Description: Heals the pet for $o1 over $d. Description2: Healing $s1 damage every $t1 seconds. Description: Snap back for 5 damage at any target that strikes you for the next $d. Description2: Snap back when struck. Pet type : Gorillas, Cat, Bear? As you can see there's a few options which might appeal as interesting to WotLK hunters. Keep in mind that no data is final, or confirmed in any way. At the same time, anything is possible. 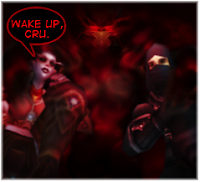 Cru the dwarf has another bouncy update for you, drop by and say hi. LFG has also updated, but you're already checking them daily right? I need to point you out this post. The older Shockwave flash player has a major security issue. Update it here. The fix is already some weeks old. (Spoiler alert) At the end of Chapter One: To Catch a Dwarf we discover Deathwing himself is plotting against the kingdoms of Azeroth.